Proposals are hereby invited from suitable accredited service providers to conduct training to councillors and employees. The service providers should be accredited with LG SETA, their courses must be credit-bearing and must issue out certificate of competence and not certificate of attendance to their trainees for the 2019/2020 financial years. A compulsory briefing session will be held on 11 April 2019 starting at 10h00 at Municipality Offices upon a payment of R500.00, non-refundable documentation fee from the office of SCM Unit at Ndwedwe Local Municipality Offices, P100 Road, Lot 47- 48, Ndwedwe. Bidders are requested to e-mail letters reserving the bid document to this e-mail address: mati.nkabinde@ndwedwe.gov.za as from Friday, 05 April to Tuesday, 09 April 2019. Proposals are to be completed in accordance with the conditions attached to the Terms of Reference document and must be sealed in an envelope and marked: “RFP: “PANEL FOR PROVISION OF TRAINING TO EMPLOYEES AND COUNCILLORS” PROPOSAL NO. NDWP 51/18/19, and must be deposited in the bid box situated at the reception area: Ndwedwe Municipal offices, Lot 47-48, Road P100, Ndwedwe, not later than 12H00, on THURSDAY, 18 APRIL 2019, where proposals will be opened in public. The name and address of the bidder must be clearly written on the sealed envelope containing the proposal. Late proposals, or proposals received by way of post, facsimile or e-mail will, under no circumstances, be considered. 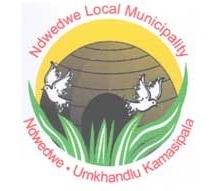 The Ndwedwe Municipality subscribes to the Preferential Procurement Framework Act, Act 5 of 2000, new 80/20 preference points system will apply in terms of the Preferential Procurement Regulation 2017 (B-BBEE Status Level of Contribution) – an original or certified copy of the certificate is required). In case of EME’s bidder may submit an original SWORN Affidavit signed by a commissioner of oaths to claim Preference Points. Bids shall be valid for a period of 120 days. The Ndwedwe Local Municipality does not bind itself to accepting the lowest, or any bid, either wholly or in part or give any reason for such action. Ndwedwe Local Municipality does not consider or award any bid or conduct business with service providers not registered on the CSD. Technical enquiries: Mr B Buthelezi, on tel. 032 532 5000. SCM enquiries: Ms Mati Nkabinde, on tel. 032 532 5000.